A written record of the first fifty years of the Masefield Chapter and a detailed explanation of the distinguished life of William Masefield, as a memorial to whose dedication to Worcestershire Freemasonry the Chapter was founded, were presented to the Chapter in October 1947 when E.Comp. D.G. Price undertook the office of M.E.Z. for a second term. E.Comp. D.G. Price went on to serve Masefield Chapter for many years and was honoured by the Supreme Order with the Rank of Past Asst. Grand Sojourner and P.Prov.G.S.N. It is of particular interest to find recorded in the Minute Book for the 280th Convocation of the Chapter on 5th February 1968, that a heavy snowstorm before the meeting with chaotic traffic conditions prevented the attendance of many officers and companions. The time of opening was deferred until 7.00pm.... In the enforced absence of Scribe E. the minutes could not be read and since neither of the two Candidates for exaltation, both of whom had been elected at the previous meeting on 4th December 1967, was able to attend, the Symbolical Lecture was presented by E.Comp. F.C. Shelley, and the Chapter was closed at 7.25pm. Thirty-three members of the Chapter and seventeen visiting Companions had signified their intention of being present but in the event only twelve members and five visitors were able to attend. relatively few occasions that an Exaltation has not taken place; indeed during the masonic seasons of 1953/4 a number of double ceremonies were held, exalting two candidates in an evening. On occasions when no candidate was to be exalted it has been the practice to deliver all three Lectures, the Historical, the Symbolical and the Mystical, whereas it is the normal practice of the Chapter to deliver only two of the Lectures: the Mystical in abbreviated form until recently, when Supreme Grand Chapter directed that it should be presented in full to every Candidate, and one other. Papers on a variety of subjects have been presented to the Chapter over the years both by members of the Chapter and by visiting Companions. At the Convocation of 2nd April 1984 a paper entitled "The Return from Babylon to Jerusalem" was presented by E.Comp. W.G. Hawkes, M.E.Z. and a further paper entitled "The Royal Arch Jewel" was presented by E.Comp. P.C. Band, H. On 2nd February 1987 a paper entitled The Place of the Order of the Holy Royal Arch within Craft Masonry was presented to the Chapter by E.Comp. T.W. Grounsell, P.G.Std.B. who afterwards welcomed and answered questions from the Companions. A paper entitled "The Royal Arch Degree in Scotland" was presented on 5th February 1990 by E.Comp. H. Banner Adkins, P.G.Std.B.. On other occasions when no candidates have been forthcoming a demonstration of the Ceremony of Exaltation has been given by the officers of the Chapter, the latest exaltee normally being invited to act as Candidate for the demonstration. Milestones of the past fifty years include the 250th Convocation held on 3rd October 1960, when E.Comp. C.H. Hills was installed into the Chair of Z, E.Comp. E.J. Toy was installed into the Chair of H and Comp. F.H. Leach was installed into the J Chair. E.Comp. Hills, who later attained the rank of P.Prov.G.S.N., served the Chapter as Treasurer for a period of eleven years, relinquishing the office to E.Comp. P.C. Band on 16th April 1980 and, in recognition of his services to the Chapter, was elected an Honorary Member in 1984. E.Comp. Toy, who attained Supreme Grand Chapter rank as P.Asst.G.Soj., was Past Provincial Grand J., and was also elected an Honorary Member in 1986. At the 250th Convocation, a Grand Chapter Certificate was presented to Comp. R.E. Whitlock. At the Installation Convocation of 7th October 1963, the Second Principal Elect, E.Comp. W. Wright, being unable through illness to undertake the duties of that office, Comp. Fred Fowler was elected to the Chair of H and installed therein, following the reading of a dispensation from the Provincial Grand Chapter, by E.Comp. Frederick Hickton Griffiths, Order of St. John, the newly installed Provincial Grand Superintendent. On 4th February 1980, E.Comp. G.E. Cooper was invited to open the Chapter by the then M.E.Z., E.Comp. J. McLeish and to present a Grand Chapter Certificate to Comp. B. Milnes. E.Comp. Cooper had been exalted into Masefield Chapter on 3rd February 1930, exactly fifty years earlier, and was installed as M.E.Z. in 1937 and again in 1954. He had served as Organist in the Province of Warwickshire and had been P.Prov.G.Organist in the Province of Worcestershire. E.Comp. G.E. Cooper, P.Prov.G.J., was warmly welcomed by the Companions. At the 300th Convocation, held on 5th February 1973, the Chapter was opened by the M.E. Grand Superintendent, E.Comp. F.H. Griffiths, O.St.John as First Principal, E.Comp. L.B. Heynes, M.M., Second Prov. Grand Principal as Second Principal, and E.Comp. H.W. Day, Prov. Grand D.C. as Third Principal. The M.E. Grand Superintendent congratulated the Chapter on this milestone and made reference to the wonderful traditions and standards of the Chapter before presenting a Grand Chapter Certificate to Comp. K.G. Currie. The Installation of the three principals at the Convocation of 2nd October 1989 was carried out, as was the opening of the Chapter, by The Deputy Grand Superintendent, E.Comp. Dr. H.J. White, J.P., P.Asst.G.Sojourner, under the revised ritual, following the adoption by Supreme Grand Chapter of the recommendations of the Working Party on Royal Arch Ritual contained in their report dated 12th October 1988. The Deputy Grand Superintendent then addressed the Companions and gave a detailed explanation of the revised ritual. At this meeting, E.Comp. R.E. Whitlock, P.G.Std.B., presented to the Chapter a Bible to be used in the Ceremonies, and E.Comp. P.C. Band, P.Prov.G.S.N., presented Goblets to be used by the three Principals and the Principal Sojourner at the Festive Board in memory of E.Comp. F.H.R. Peel, P.Prov.G.S.N.. The Companions of the Masefield Chapter have continued to be keenly aware of the exalted standards of morality of this Supreme Order and the dignity and high importance of the work to be carried out in our Ceremonies and have maintained the high standards for which Masefield Chapter has become well-respected in the Province. This dedication to the Order has been recognised and rewarded by the Rulers of and in the Province of Worcestershire and is reflected in the honours conferred on the Companions by way of Provincial rank, both in an acting capacity and by the levels of promotions received by members. There are, and have been in Masefield Chapter over its long history, many Companions whose interest in and contributions to Royal Arch Masonry are particularly noteworthy. It is perhaps appropriate in this record of the second fifty year period to refer to some of the most illustrious, without in any way detracting from the contributions made by the very many Companions who have "presented themselves with a view to improving in Freemasonry and directing that improvement to the Glory of God and the good of man." The following three Companions were considered worthy of mention in the history of the first fifty years, and were active subscribing members at the time of recording that history in 1947. Firstly, E.Comp. Ernest G. Apps who, in recognition of his services to Masefield Chapter was elected an Honorary Member on 6th December 1954, a position he enjoyed until his death in 1956. Also E.Comp. A.W. Watson, already an Honorary Member in 1947, who was sadly called to the Grand Chapter above in 1959. Thirdly, E.Comp. Alfred Allen, P.Asst.G.Soj., P.Prov.G.J., who was made an Honorary Member in 1947. E.Comp. D.R. Counsell, affectionately known by all as "Jim", came to Masefield Lodge as a joining member from Beaufort Lodge No. 103 Bristol on 10th January 1921, joined Masefield Chapter on 4th April 1932 and served the Chapter well for many years. He was installed into the First Principal's Chair in 1943 and subsequently achieved the ranks of P.Asst.G.Soj. and P.Prov.G.Reg. His keen interest in all things Masonic was legendary and many present members of the Chapter have reason to be thankful for his guidance and advice. He attended his last meeting of the Chapter on 1st October 1979 and passed away three days later. E.Comp. Fred Fowler was exalted into Masefield Chapter on 2nd April 1951. At the Installation Convocation of 7th October 1963 E.Comp. W. Wright, who had announced that he did not feel able to undertake the office of H due to his deteriorating health, stood down and Companion Fowler was installed in the H Chair by dispensation and in the presence of E.Comp. Frederick H. Griffiths, O.St.John, P.A.G.Soj., the newly installed Provincial Grand Superintendent. One year later, on 5th October 1964 the Grand Superintendent was again present to see E.Comp. Fowler installed into the First Principal's Chair. At that meeting E.Comp. Fowler appointed Comp. Philip B. Hodgkinson as Principal Sojourner. E.Comp. Fowler was appointed to the rank of P.Prov.G.Soj. in 1966, promoted to P.Prov.G.S.N. in 1978 and in 1987 became Third Provincial Grand Principal and received Grand Chapter honours as P.Asst.G.D.C., distinctions of which he and the Chapter are justly proud. E.Comp. Fred, in his quiet, unassuming way gives great support to the Chapter and can always be relied upon for help and advice by the junior Companions. E.Comp. Philip B. Hodgkinson was exalted into Masefield Chapter on 3rd December 1956 and installed as First Principal on 5th October 1970. He was appointed to the acting office of Prov.G.Soj. in 1972, promoted to the rank of P.Prov.G.Reg. in 1981, and presently holds the rank of P.Prov.G.S.N., to which he was promoted in 1985. As the second longest serving member of the Chapter, E.Comp. Hodgkinson also provides a high level of support to the Chapter and to its members. E.Comp. 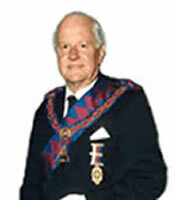 Eric S. Price, P.Prov.A.G.D.C., was exalted into Masefield Chapter on 3rd February 1958 and installed as M.E.Z. on 4th October 1971, in which capacity he exalted his son, Richard B.W. Price, who he previously had the pleasure of initiating into Masefield Lodge on 13th November 1961, and who he had passed and raised during his year in the Chair of the Lodge. A keen and dedicated mason, E.Comp. Eric Price passed away suddenly on 25th September 1980. E.Comp. Robert E. Whitlock, who was exalted into Masefield Chapter on 4th April 1960 and installed into the First Principal's Chair on 1st October 1973, has a most impressive and indeed well deserved record, not only in Craft Masonry, where he achieved the rank of Deputy Grand Master in the Province of Worcestershire and holds the rank of P.G.Swd.B. in the United Grand Lodge of England, but also in this Supreme Order. He was appointed Prov.G.D.C. in 1975, promoted to P.Prov.G.S.N. in 1980, received the honour of P.G.Std.B. in 1983 and P.Asst.G.Soj. in 1992. E.Comp. Bob Whitlock can always be relied upon to support and to guide the Principals and Companions of the Chapter and is a constant source of information and knowledge of all things masonic. E.Comp. Donald P. Alexander, P.Prov.G.S.N., was appointed to the acting rank of Prov.G.S.N. in 1977 following his serving as First Principal from 6th October 1975, having been exalted into Masefield Chapter on 4th February 1963. On 1st December 1986, he was present to witness the exaltation of his son, Bro. P.J.L. (John) Alexander, into this Chapter. The M.E.Z. then invited E.Comp. Don Alexander to give an explanation of the signs and words to his son, following the delivery of the Mystical Lecture. It is a matter of great regret that E.Comp. Donald did not survive to see his son John installed into the First Principal's Chair for the Centenary Year, having been summoned to the Grand Chapter above, on Christmas Day 1996. E.Comp. Richard B.W. Price was exalted into Masefield Chapter by his father, E.Comp. Eric Price on 6th December 1971 and served as First Principal for two years from 5th October 1981 to 3rd October 1983. In 1983 he was appointed Prov.Dep.G.D.C. and in 1988 became P.Prov.G.Soj., being promoted to P.Prov.G.Reg. in 1994. On 1st May 1997 his dedication to Royal Arch Masonry was rewarded by the M.E. First Grand Principal, when he appointed him P.A.G.D.C..
E.Comp. Peter C. Band, exalted on 6th December 1976, was installed as First Principal on 1st October 1984. In 1987 he was appointed to the acting rank of Prov.G.S.N.. E.Comp. Band has been Treasurer of the Chapter since 16th April 1980, apart from the period of time he was passing the three chairs, and on 10th February 1993 he was appointed to the rank of P.G.Std.B. in the honours conferred to celebrate the Silver Jubilee of the M.E. First Grand Principal. No list of eminent members of Masefield Chapter would be complete without reference to the Janitor of the Chapter for the years from his first appointment to that office on 7th October 1968 until his retirement, due to ill health, in October 1995 at the age of 94. E.Comp. W.J. (John) Ashley, P.Prov.G.S.N., P.Prov.G.Soj.(Warks.) has stood on the threshold with so many of the present Companions of the Chapter (indeed he has prepared a large proportion of them as initiates to Freemasonry as Tyler of the Masefield Lodge from 1967 until his retirement in 1994) and he will always hold a very special place in the hearts of the Companions of Masefield Chapter. His cheerful countenance, his powerful voice, even in his latter days in office, and his inevitable greeting of "Happy Days" will live with us for a very long time. E.Comp. Ashley, now 96 years of age is still active in Masonic circles - Long may he be so!